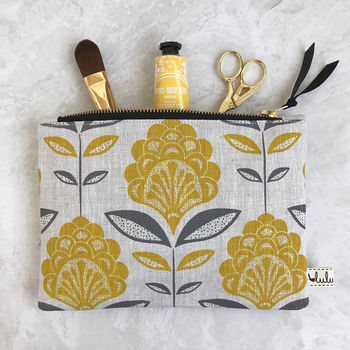 Brighten up your day with this stylish make up bag. Hand-printed onto natural linen in mustard and grey. Features a black and gold chunky ykk zip with leather zip pull. The reverse is a plain linen and the lining is black cotton. A perfect size to use as a make-up bag or for carrying handbag essentials and would make the perfect gift! or treat for yourself! 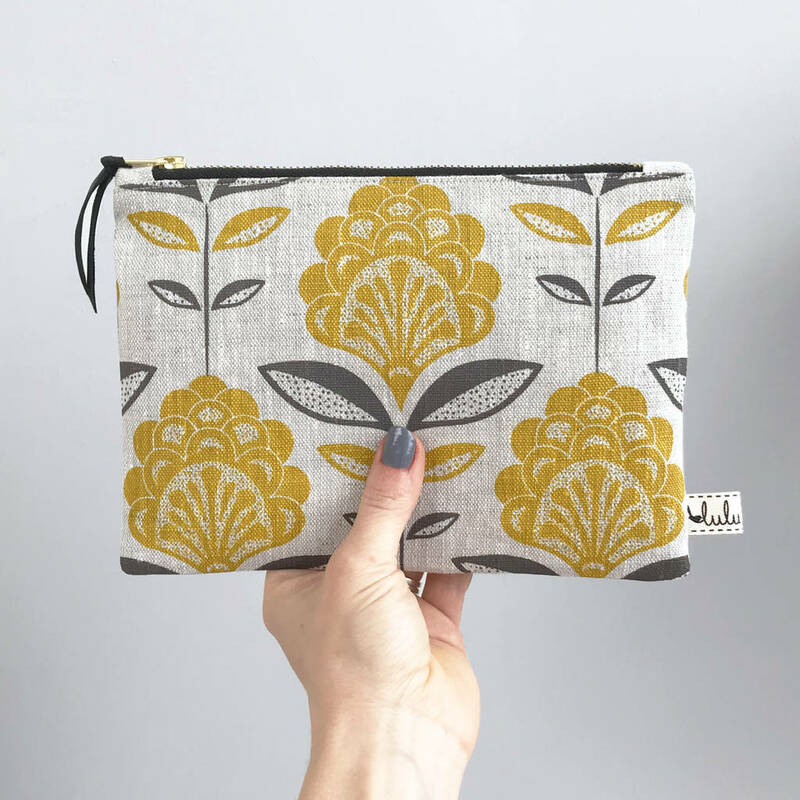 The fabric I use is designed and hand-printed by me and exclusive to Lulu & Luca.